Fig. 2: Western Boeotia. Reported late Roman fortifications and loci of maritime traffic (top). 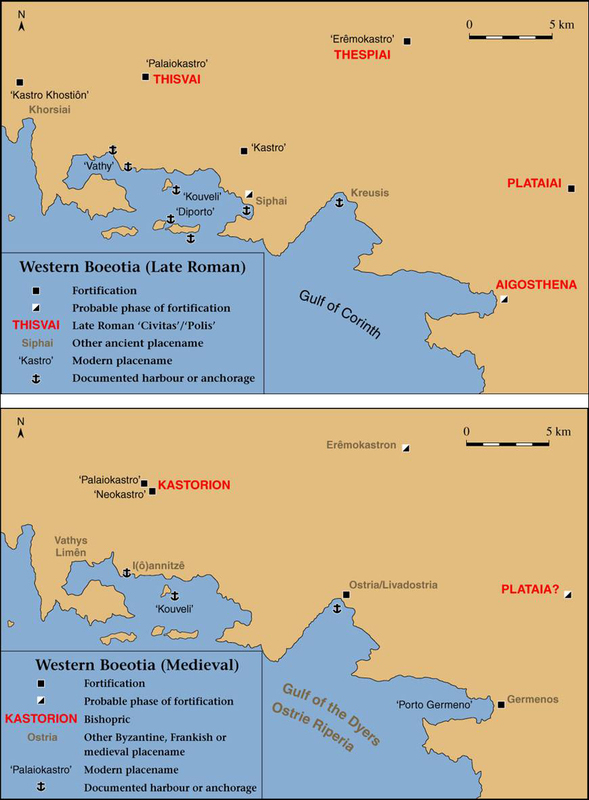 Reported Byzantine and Frankish fortifications and loci of maritime traffic (bottom).